Using git bash with a subversion repository is very easy when you know how to use it! 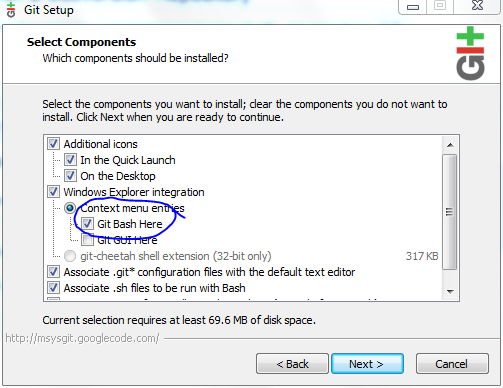 After it’s installed, go ahead and open git bash and cd to a directory where you want to download the repo to, or if you chose to install that context menu option, navigate to your folder in explorer (or finder) and right click on it then “Git Bash here”. Alternatively, you can clone a subdirectory of the svn repository by simply writing the directory name at the end of the repo address. This is particularly useful when you’re working on a large project and don’t want to download all the files on the server. After you run the command you’ll be prompted for authentication, go ahead and fill that out and your repository will be downloaded onto your machine. From there you’ll be able to modify the code, or whatever it is as you would regularly, then when you are ready to push changes back to the server, all you have to do is add these changes, and get them ready for commiting. That should list out all the files you’ve modified, added, or deleted. This should track all the changes made, regardless of deleted, added, or changed. git commit -m "Your message goes here!" Something to note about the commit command: You don’t have to use the -m parameter, it’s just that it’s much easier to do this, rather than being taken to a command line text editor to write a message. Once you’ve commited your changes to your local git repository, you’re ready to push them to online subversion repository! And, that’s it! You’ve successfully learned to use the git bash with a subversion repository! to download any changes from the server that you’ve commited from your other machine BEFORE you start working on your code on your current machine. 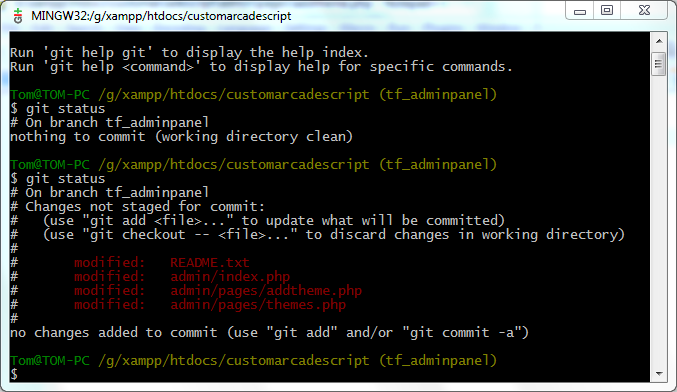 Now you’re ready to get working with git on your subversion repositories!